Phonographic Copyright (p) – Warner Music Colombia S.A. Published By – BMG Edim S.A. de C.V. Sticker on the cellophane states: Limited Edition. Contains CD and DVD. *CD with Luis Miguel's best boleros and a new song. *Bonus DVD contains 7 videos available for the first time. 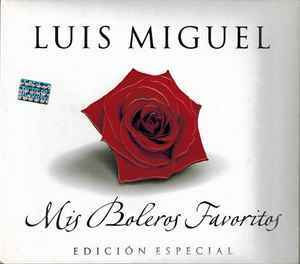 This limited edition of "Mis Boleros Favoritos" includes unique packaging and artwork, and a DVD.